What if you already updated? Every few years Windows has put out an upgrade. From the ones we forgot about (MS-DOS, Windows 1.0, 2.0, 3.0, 3.1, 95, 98 ME, NT 3.1, 4.0, 2000), to the more recent versions (XP, Vista, 7, 8, 8.1, 10). Some have been more successful (XP and 7) then others (Windows Vista and 8). Windows 10 has been an interesting twist, since they are offering the upgrade for Windows 7 and 8 users for free. What is the “elevator pitch” for Windows 10? Already upgraded to Windows 10? Now what? If it is a small issue which can be rectified with a quick call or remote session, sticking with Windows 10 is recommended. You are no longer eligible to downgrade. Even if have or purchase a license of Windows 7 or 8, you will need to wipe your computer and reinstall everything. Therefore, keeping and working with Windows 10 is generally the most advisable solution at this point. ARE YOU STILL ON WINDOWS 7 OR 8? Are you still holding out? However, what is important to know is that Microsoft really wants you to upgrade to Windows 10. In order to get you to do the Windows 10 upgrade, they changed the classification to a mandatory update. 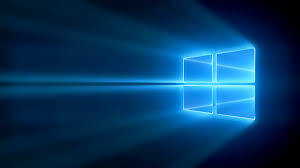 Therefore, if you have the generally recommended selection to automatically update download and install Windows updates, then you may come to your computer one day and find it with Windows 10 installed and running. How to stop your computer from upgrading to Windows 10? There are numerous methods, but as Microsoft gets more “devious” in there push to Windows 10, there is always a chance that the upgrade will get pushed through. What to do before you upgrade your computer? Before you upgrade, it is recommended to take a back up of your computer. There are different levels of backups. A data backup will back up your data, while an image backup will backup everything (the data, programs and operating system) so that you can restore to exactly as you were before the upgrade. Interested in setting up a local or cloud based backup? How about setting up a backup system which will allow you to work on “your” computer even when it is down? Stay tuned to the next newsletter or call 718-676-6910 today and ask for Yonatan!